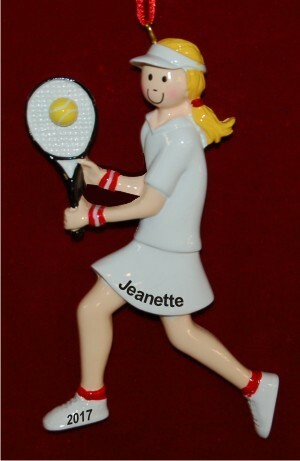 The sport of tennis has a rich history amongst the "gentle" folks and royalty of ages past. 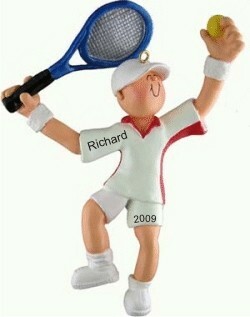 One of the Middle Ages' most famous tennis players was King Henry VIII. 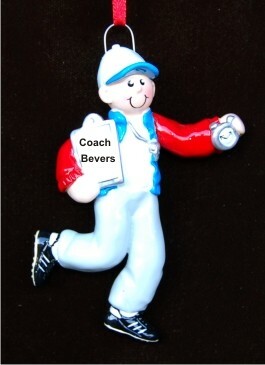 As a teenager, he was extremely athletic and enjoyed holding contests in which he played. Since his older brother was slated to be King, the young Henry had no designs on a future Kingship, and instead busied himself with studies, sports and meeting young ladies at court events from far away places. 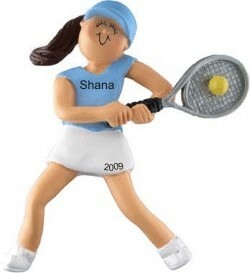 At that time, tennis was played indoors, and it wasn't until the 1800s that the game moved outside and was referred to as "lawn tennis". 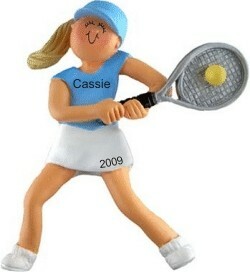 The four biggest and most prestigious worldwide tennis tournaments played today are referred to as Grand Slam tournaments. 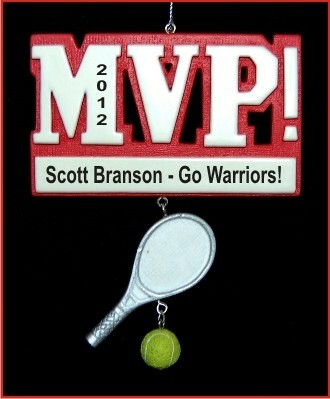 They are: Wimbledon, the US Open, the French Open, and the Australian Open. 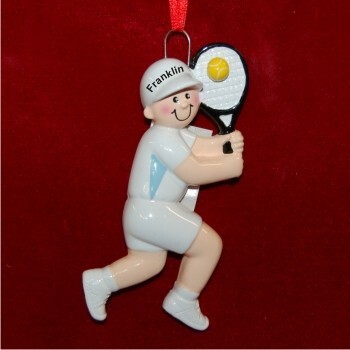 To honor Grand Slam hopefuls, as well as weekend couples who hit the courts in the spirit of good fun, exercise and play, we offer our tennis ornaments. 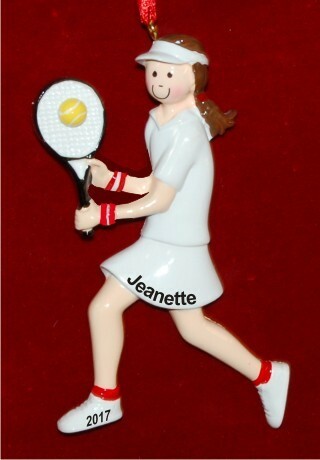 Find the perfect tennis ornament personalized for a partner or friend. 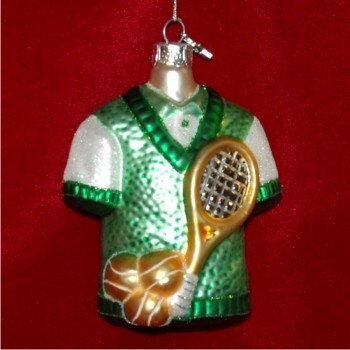 We offer tennis Christmas ornaments for men and women, blonds and brunettes. 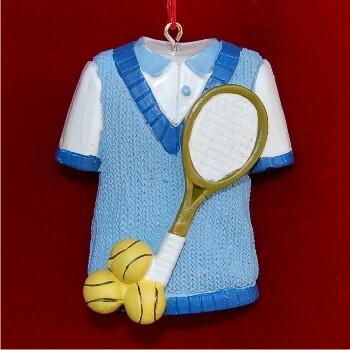 Each tennis themed ornament arrives in our black velvet bag, ready to make a fun and memorable personalized Christmas ornament gift. 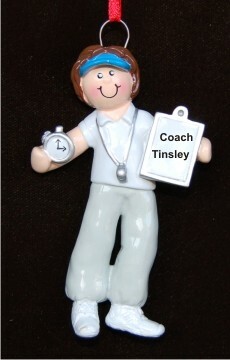 If you're having a tennis birthday party, we can create an assortment of tennis themed ornament designs as party favors. 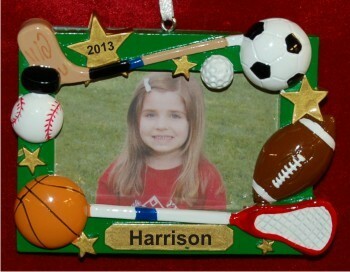 You can personalize them individually or in bulk with the name of the event or competition. 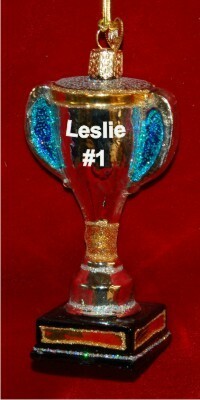 Whatever your needs, let us know by clicking on the Contact Us link in the blue banner below. 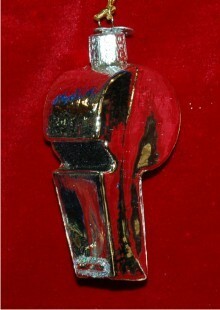 We're happy to create a bulk or wholesale package for you.